Almost everyone who visits Bali falls in love with the tropical island that some call paradise. This small Indonesian island is one of the most popular places to visit in Asia and has something to suit every visitor. You can spend your time relaxing at the beachside Bali villas or hiking in the mountains. Whatever you’re looking for in a vacation, this destination is almost certain to have it. Combine with the friendly and forever smiling locals and affordable prices and you’re in for a treat. 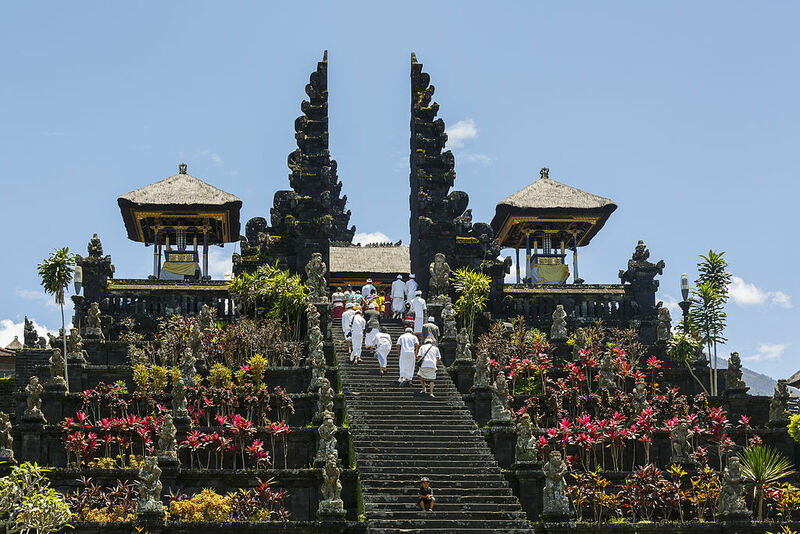 This article provides a short guide on travelling to Bali. Most people know that Bali is one of the many islands in Indonesia. The island itself is on the western part of the Lesser Sunda Islands and just a few kilometers from Java. Bali is relatively small and it’s possible to drive around the perimeter in a day. The beaches on the north side tend to have black sand from the active volcanoes in the interior. Southern stretches of coastline have better beaches. Most people fly into Ngurah Rai International Airport in Denpasar, the capital. From here it’s easy to get to the different regions by either bus, taxi, or renting a vehicle and driving yourself. Let’s take a look at some of the popular places to stay on your dream trip to Bali. Kuta Beach in the southern part is probably the most famous beach that attracts a range of younger tourists and backpackers. You can find budget guesthouses and a very active nightlife here. Popular activities include surfing and spending the afternoon in the large water park. This is certainly the place to relax and party for a few days. Be aware that the congestion and traffic are quite bad during the peak season and expect bars to be far apart. Jimbaran is another hot destination for tourists with a large budget in southern Bali. You can find lots of high-end hotels and resorts along here. This is also home to some of the best seafood restaurants on the entire island, known as the Seafood Cafes. If you’re looking for a luxurious vacation with views of the beach, this is the place for you. However, be aware that the resort area is quite isolated and it’s difficult to get out to explore without your own transport. The nightlife is also limited. Ubud in central Bali is a small town that attracts visitors who are looking for a more cultural experience. You can visit lots of historical attractions and a number of museums and art galleries. It’s also easy to use Ubud as a hub to explore other parts of Bali and to enjoy the nature. You can find a range of accommodation here including everything from budget guesthouses to luxurious hotels. However, congestion can be a problem and it lacks a vibrant nightlife scene. The most popular way to get around Bali is to rent a motorbike. Rental shops line the streets offering daily rates for around $10. This gives you the flexibility to explore on your own terms. If you’re not confident using a motorbike, get a car or hire a private driver. Some tourists also rent a bicycle for just a few dollars a day to get around the town. Just be aware that the traffic can be chaotic at times and the driving conditions may not be as good as back at home. You can find several taxis in the streets of which some use their meters and others don’t. Be careful with the taxis as many are dishonest and like to take advantage of tourists who don’t know the rates. Ask your hotel to call one from a reputable company if you’re concerned or be prepared to negotiate a better price. If you want to get around the island, the public transport that consists of an army of minibuses are efficient at taking you to the different regions. But, they’re a bit small and uncomfortable for larger western tourists. If you’re staying near Ubud, one of the most popular day trips is to get out and see the artisan villages. Vendors make and sell local handicraft as well as gold jewelry and small sculptures. This makes a perfect souvenir and you’re also contributing to the local economy. You can visit the villages independently or as part of a tour package. Other day trips include visiting Monkey Park, a nature reserve near Ubud, to see the monkeys and enjoy the natural beauty. You’re almost certain to see some of the 700 monkey residents in this cultural and spiritual part of Bali. There’s also an Elephant Safari Park that houses the endangered Sumatran Elephants, which most visitors enjoy. If you like nature, you can also get out and hike in some of the mountains and volcanoes. Mount Batur is one of the more popular and beautiful places to hike in Bali. This is a great place to see the sunrise over the island and is strongly recommend if you have the time to do it. 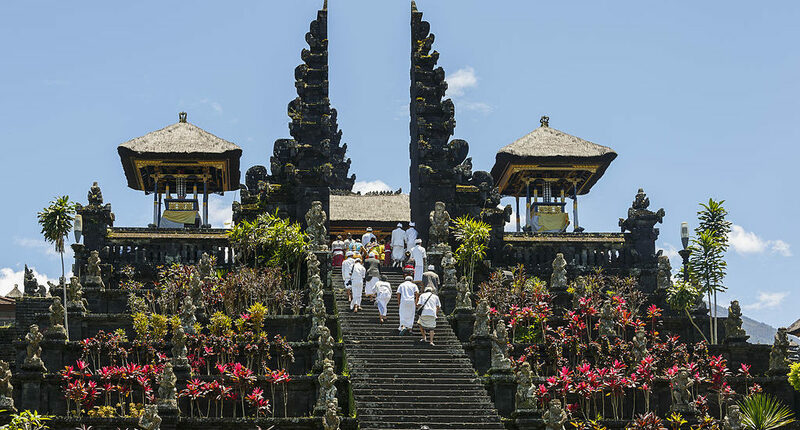 Bali is a beautiful place to take a vacation with its varied landscapes, temples, and culture. This is the perfect place to visit and you’re almost always going to come away falling in love with this island. Make the most of your time in Bali and do as much as you can, the vacation won’t last forever!